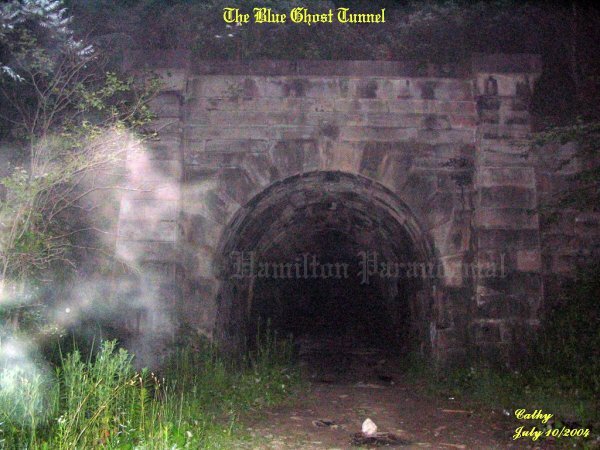 In this photo it was interesting to see what appears as an animal of some sort to the left of the tunnel facing the entrance. 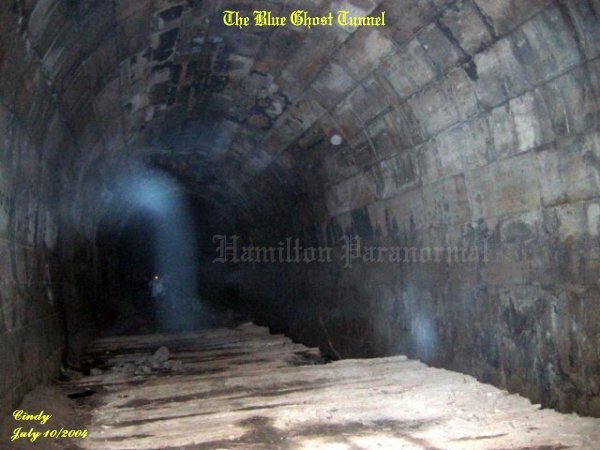 This photo shows a spirit form in red ecto mist. This spirit was not a happy one. It's this kind of energy that can make one feel a heavy feeling to one's chest or give one a sharp pain in the head or give one an upset tummy. Best thing to do is walk away from the area where one feels these symptoms. In the above photo Cindy had taken, looking at the center of the picture there appears to be a big head of a person that was forming. 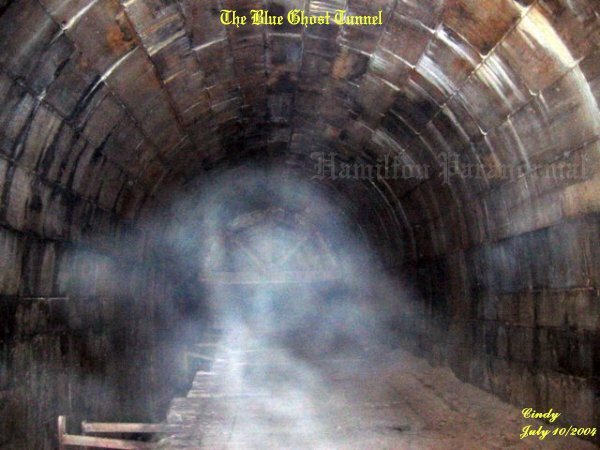 More ecto plasm within the tunnel. Notice how it seemed to be centered within the tunnel. This form had a lot of energy to it without a doubt. Notice the different colors within the form. 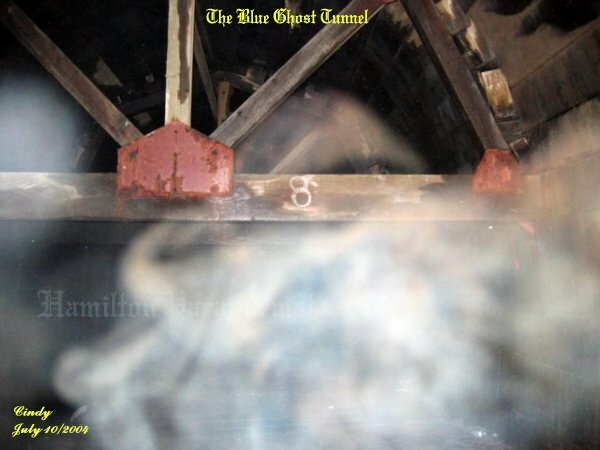 The spirit that took on this form did not seem to be too happy at the time the picture was taken, for it shows some red and red is not good. 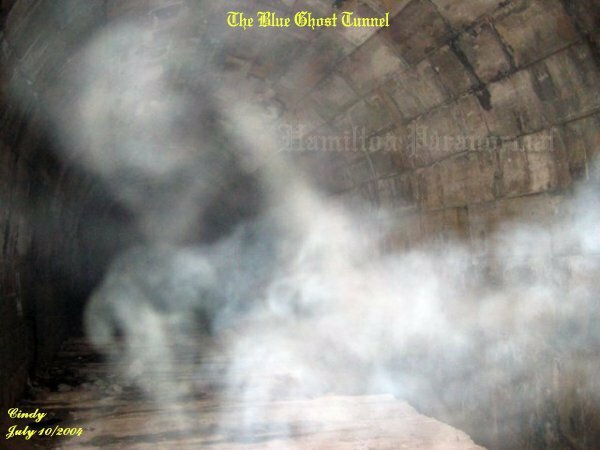 This shot was interesting, showing some ecto plasm taking a form of a single funnel that appeared to come from the floor and arched back to the left hand side of the wall. It was getting really late and Cindy had taken this picture of Simon in the tunnel, still taking pictures of his own. Simon seemed to have some spirits that liked him throughout the night. This energy form was in blue ecto plasm. Between myself, Cathy and Cindy, we had taken 948 pictures. Above we only showed you, the viewer, the best from this investigation. 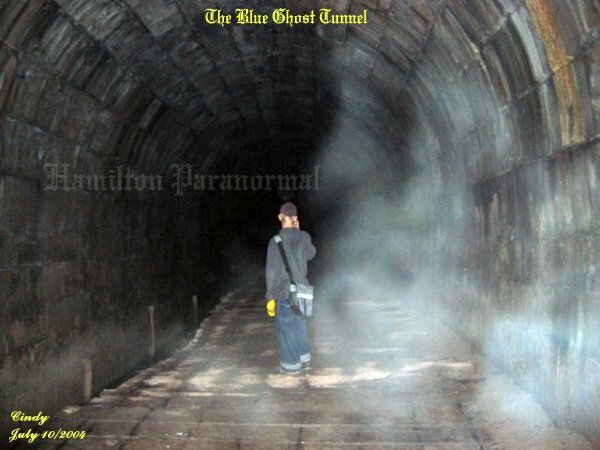 The tunnel is still as active as before and with each new investigation to this area always is a given for the paranormal investigator to experience things that cannot be explained from the other side. We hope that you the viewer will make a trip to this area and experience the tunnel for yourself and get your own pictures. 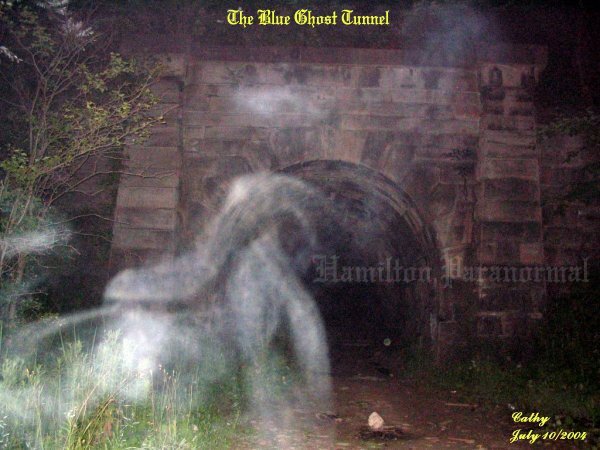 If you do venture to this place let us know what you had encountered at The Blue Ghost Tunnel.